Two sizes of bearing guided flat ovolo cutter. The flat profile, in contrast to the more normal quarter round, has a width which is twice the height. This is particularly suited to decorative edge work on tables etc. 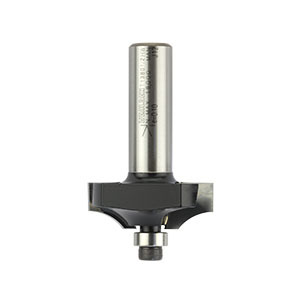 The cutter is supplied with a bearing to give a 3mm quirk, although other bearings are available to alter the quirk dimension 'H'. Select from the table and order separately (click on Optional bearings). 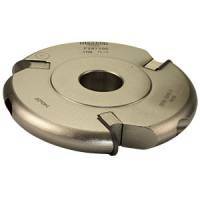 The bearing assembly may be completely removed, making the cutter suitable for panel work etc.